MS Dhoni is extremely watchful whenever he is on the cricket field. Even after playing international cricket for over 15 years, MS Dhoni does not take things lightly and stays alert whether he is behind the stumps or in front on them. 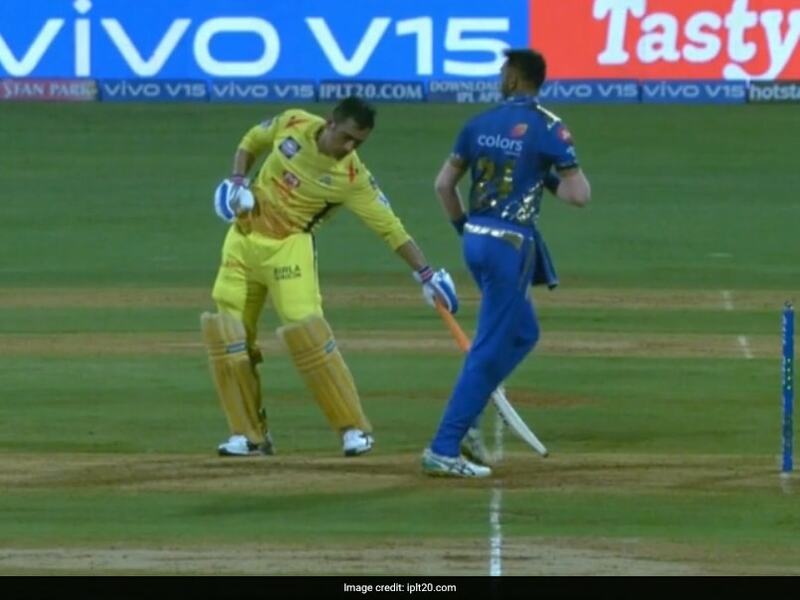 During an Indian Premier League (IPL) match between Chennai Super Kings (CSK) and Mumbai Indians on Wednesday the 37-year-old once again proved that his reflexes are strong and his mind is as sharp as ever. Bowling to Kedar Jadhav, Mumbai Indians all-rounder Krunal Pandya completed his run-up but never released the ball to inform MS Dhoni to stay in the crease. Going with the "spirit of the game", Pandya stopped in his tracks and gave a 'mankading' warning to Dhoni. However, Dhoni was in his crease all the time. Impressed by Dhoni's alertness commentator Sanjay Manjrekar said that the you will rarely see the former India captain do something that is incorrect. Ravichandran Ashwin, Kings XI Punjab skipper, had sparked an outrage after 'mankading' Rajasthan Royals' Jos Buttler in an IPL 12 match. As far as the match is concerned, after being put in to bat by MS Dhoni, Mumbai Indians were struggling to post a competitive score against the defending champions. But, a late flourish from Hardik Pandya and Kieron Pollard helped the hosts set a fighting target of 171.